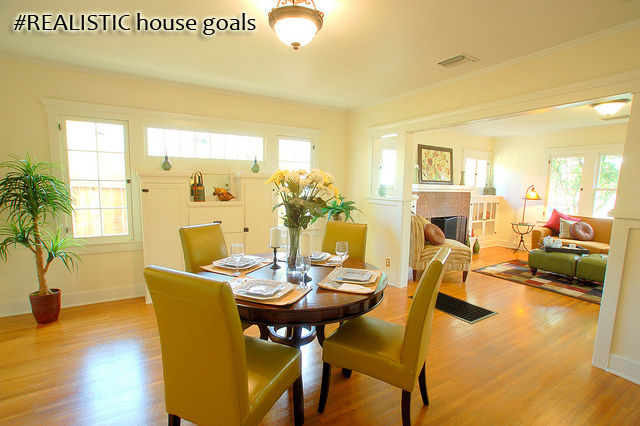 Setting Successful House Goals! Inspiration And Tips! Inspiration and Tips For Setting Successful House goals! Looking to improve your home situation? Dreaming of your ideal home in the future? Setting house goals is a good start! Got house goals on the brain? Do you have a vision of the kind of beautiful home you want to own in the future? Setting goals will allow you access some of the dormant power in your life and get you moving in that direction! Having a concrete goal excites your life and begins to move you naturally in that direction. Some people work better with pictures. Some with words. A combination of the two perhaps, that is a written goal statement and a picture of your desired outcome, is a wise combination. Truly it's a matter of you finding a way that works for you. Or many ways that work for you. Motivation exists in you. Actions in this moment can transform things for the better. Deciding on a goal is one way to stir your spirit into action. To own your own library containing over 500 books which you have read from cover to cover by 2030. Of course you could have the library set up in a number of weeks but reading all of these great books will take some time, planning and consistent effort. 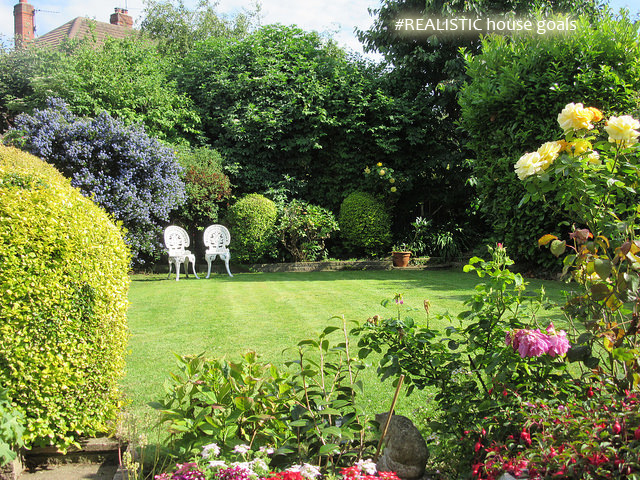 To create your own beautiful garden, a place of relaxation and friendship, by March 2021. 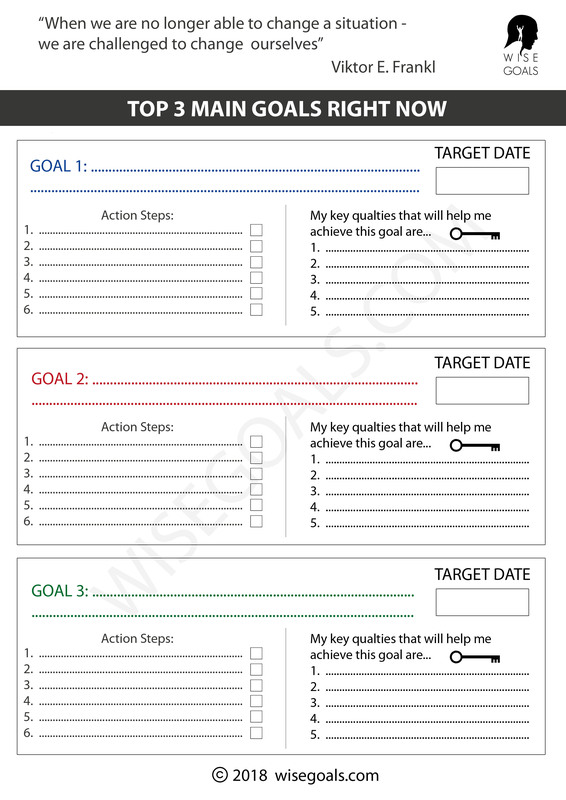 For each goal you set think in some detail about the target year and why you'd like it. To have a pool room in your house by March 2025. You may want to have something luxurious that is a good match with your personality. Something which get's your excited when you think of it. To have a house with beautiful well lit spacious living areas by March 2021. If you don't already imagine... a place you are proud of and that you can invite your friends around to and have lovely food in a warm spacious environment. Make it personal to you. Create your own very personal dream... a combination of exciting for you and possible for you is the perfect combination. Make your own personal realistic goals. When you do... it will lead to you take action and make real progress. Which is so much more exciting than day-dreaming! Making home goals and letting your imagination free can be a fun thing for sure but surely even better if they are fun and genuinely going to happen at the same time! I see no point in being overly greedy and wanting a palace if we don't even have any particular reason we would want such a place. On top of that, and perhaps most important of all, if your goals are part of an exciting concrete vision of personal growth and fulfilment that excite you in some way then they'll keep you moving forward no matter how slowly and may even get you out of bed in the morning at the crucial time that happens to all when life's unexpected difficulties suddenly strike. 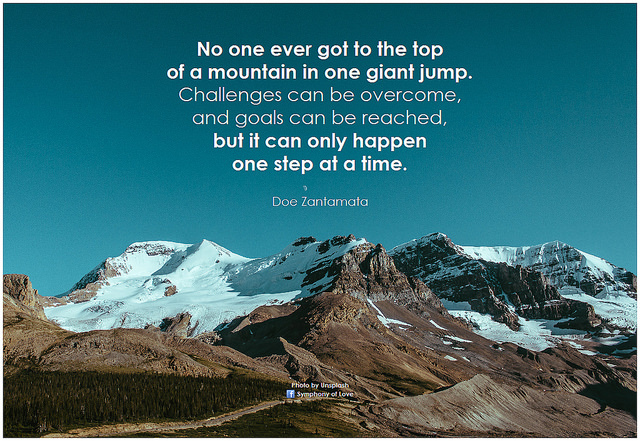 Doe Zantamata one step at a time by BK. ﻿Attribution-ShareAlike 2.0 Generic. 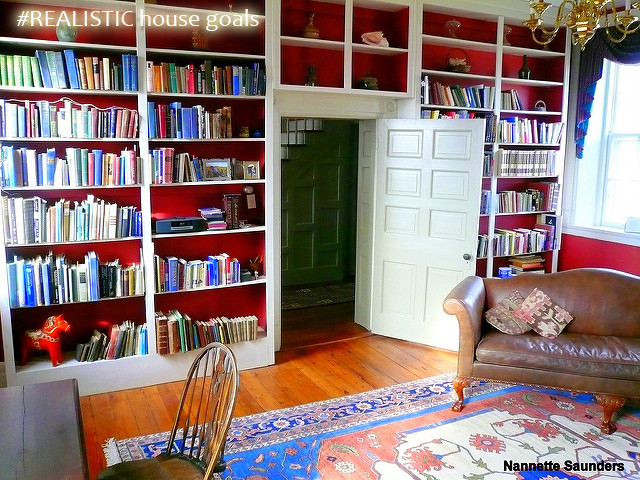 beautiful library by Nanette Turner (text added by me). Attribution 2.0 Generic. Garden by Akuppa John Wigham (text added by me). Attribution 2.0 Generic. 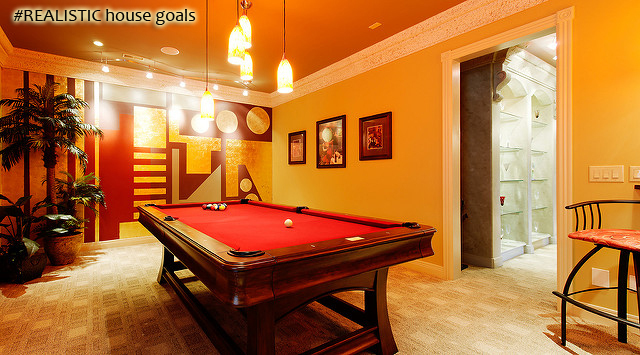 Skyline Drive Basement Pool Room by KairosPhotography. Attribution 2.0 Generic. Sinaloa Dining Room after by Kendyl Young. Attribution 2.0 Generic.